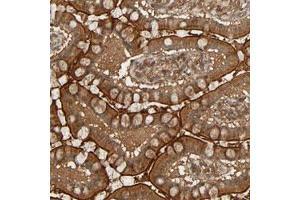 Immunofluorescent staining of U-2 OS with RPS6KA6 polyclonal antibody (Green) shows positivity in mitochondria and nucleus but excluded from the nucleoli. 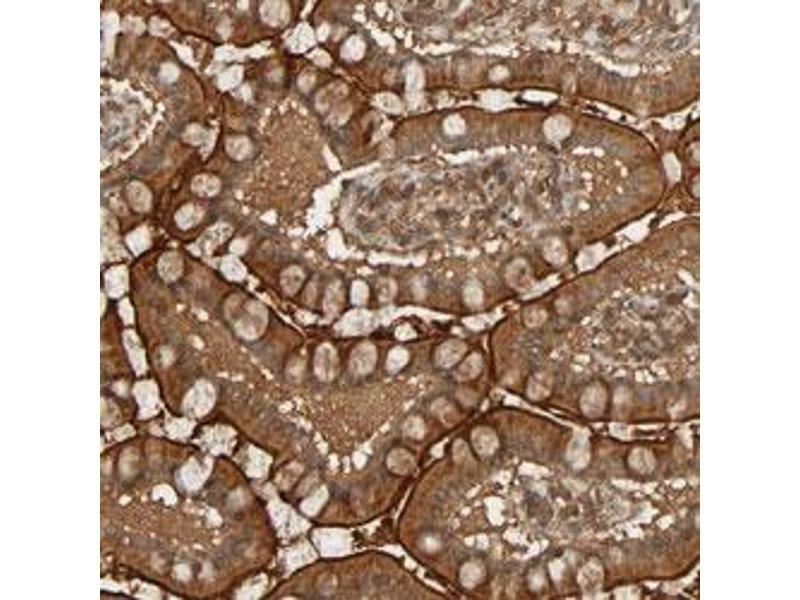 Immunohistochemical staining (Formalin-fixed paraffin-embedded sections) of human small intestine with RPS6KA6 polyclonal antibody shows strong cytoplasmic and membranous positivity in glandular cells. 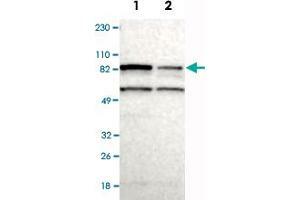 Western Blot analysis of Lane 1: RT-4 and Lane 2: U-251MG sp cell lysates with RPS6KA6 polyclonal antibody . 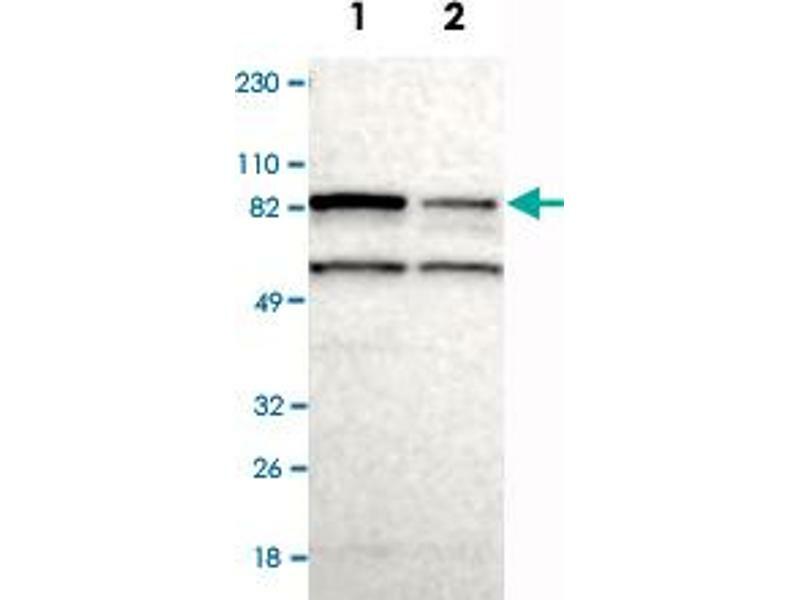 免疫原 Recombinant protein corresponding to human RPS6KA6. 缓冲液 In PBS, pH 7.2 (40 % glycerol, 0.02 % sodium azide). 储存方法 Store at 4 °C. For long term storage store at -20 °C.